For this week's makeup look I wanted to play with my BH Cosmetics San Francisco palette. I've been hoarding this little cutie for far too long, and I wanted to play with the colors and see how I liked the shadows. I've been super overly-obsessed with shades of blue lately- so for this look, I used silver, a lilac blue, and a plum-mahogany shadow. I usually use some massive lashes, but for this look I chose a smaller pair of lashes, and I think the look came out really "fresh" and wearable from day to night. 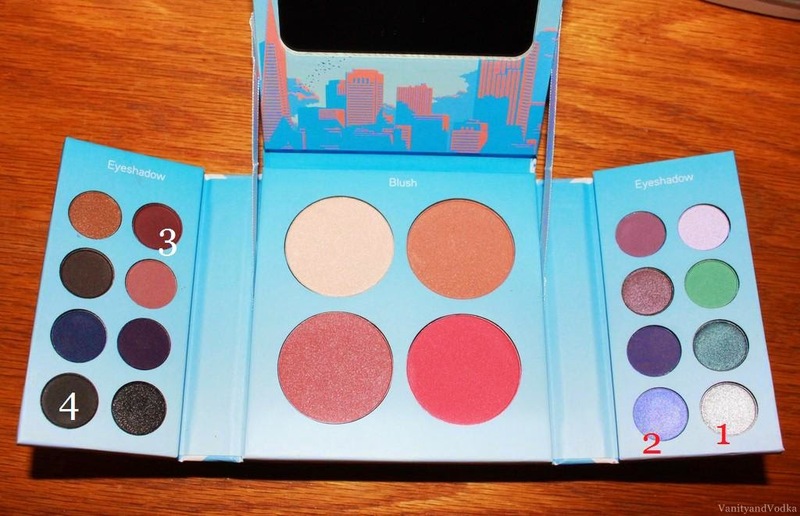 I love the quality of the shadows, and I think this is a really adorable palette to have on hand. Its size makes it a perfect travel companion if need be. And you must forgive my hair... It went HUGE for some reason. I truly love it when you do!! I have to mention that I have been working so hard lately that I haven't had much time to blog or visit with my blogger friends as much as I wish I could. I am not a full time blogger (sad face) - I have a full time career outside of blogging that has needed my attention lately. So if I've been quiet, that is why. I am hopeful that things will balance out and I'll be more available - especially during the week!! Thank you so much for your understanding. Please remember you can always find me on Instagram and Twitter. Don't be shy!! Wishing you the very best. May you have a blessed week. I love the volume in your hair ! So don't even worry about that. Great review! Love the makeup look! Thank God we don't have to deal with humidity here in Ireland! Such a gorgeous palette and you created a beautiful look. Your lashes are always so perfect. That palette is really nice, and your hair is amazing, I love the bouncy curls!